Stylish protection that covers, cleans, polishes and restores iMac display and housing. 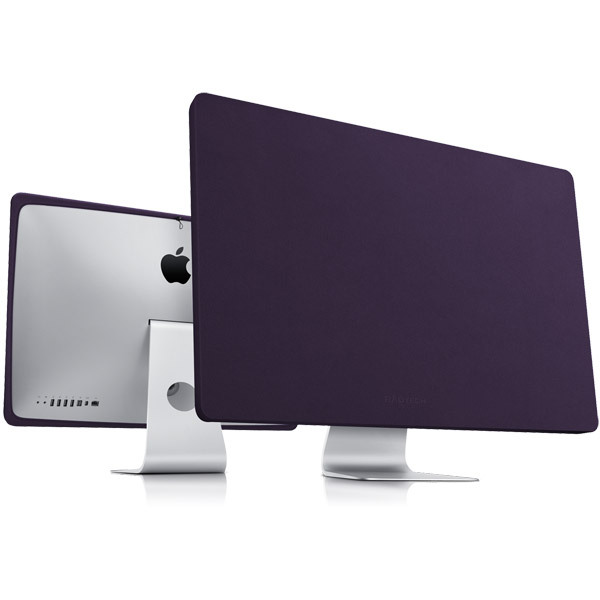 Description: ScreenSavrz for iMac protect your display and case from dust, soiling, fingerprints, etc when not in use. They also clean and polish your screen or case anytime without sprays or wet wipes. And if your display has already taken a hit, simply dampen ScreenSavrz with water and polish away any existing scuffing you might have. Constructed from RadTech's exclusive, super soft and ultra tough Optex fabric - a non-woven, ultra-thin (0.6mm thick) advanced polishing fabric. ScreenSavrz allow you to safely clean the screen or any surface of your computer or display. ScreenSavrz are so thin, soft and supple they quickly and easily stow practically anywhere. This lightweight and breathable Optex display protector is convenient, practical and extremely effective. Does not obstruct iMac's ventilation ports.